Universal City, CA, September 18, 2015 – Universal Studios Hollywood marked the opening of the highly anticipated “Halloween Horror Nights” with a celebrity-laden red carpet premiere, as Southern California’s most extreme horror event brought together the sickest minds in horror to immerse guests in a living, breathing, three-dimensional world of terror. “Halloween Horror Nights” continues on select nights through November 1, 2015. Attending celebrity guests included actors Tyrese Gibson, David Arquette, Barry Bostwick, Mark-Paul Gosselaar, Frankie Grande, Tara Reid, Dylan Minnette and Ty Simpkins as well as recording artist Travis Barker, who were joined by Insidious cast members Leigh Whannell, Lin Shaye and Stefanie Scott, and members from the award-winning hip hop-dance crew Jabbawockeez, who will debut an all-original show as part of this year’s event. “Halloween Horror Nights” 2015 features a slate of new mazes, an exciting hip-hop dance show, a new cutthroat Terror Tram experience and terrifying Scare Zones, including “Guillermo del Toro Presents Crimson Peak: Maze of Madness,” inspired by the visionary filmmaker who directed, co-wrote and produced the upcoming Legendary and Universal Pictures feature film; “The Walking Dead: Wolves Not Far,” inspired by season 5 of AMC’s critically-acclaimed, Emmy Award®-winning television series; “This is the End 3D,” the first-ever 3D horror-comedy maze, based on the hit movie starring James Franco, Seth Rogen and Jonah Hill; “Insidious: Return to the Further,” based on the bone-chilling Insidious film trilogy; “Halloween: Michael Myers Comes Home,” inspired by the original classic slasher film, Halloween, directed by renowned horror filmmaker John Carpenter; “AVP: Alien vs. Predator,” back by popular demand and inspired by Twentieth Century Fox cult sci-fi franchise; and an all-new backlot experience “Terror Tram: Survive the Purge,” inspired by Universal Pictures’ popular franchise film series. An electrifying all-new show featuring the highly-accomplished, hip hop dance group, Jabbawockeez, universally recognized as America’s best dance crew also debuts. A unique element to the this year’s “Halloween Horror Nights” is the premiere of the demonic short film One Night in Hell, featuring an original soundtrack by Brian May, legendary guitarist and songwriter for rock group Queen. The video will be screened for guests in the queue lines as they await entry to the mazes. Tickets to this year’s event are available for purchase at www.HalloweenHorrorNights.com/hollywood, including a Front of Line ticket option that enables guests to enjoy priority access at each “Halloween Horror Nights” maze, Terror Tram and theme park attraction. Advance purchase is recommended as event nights will sell out. 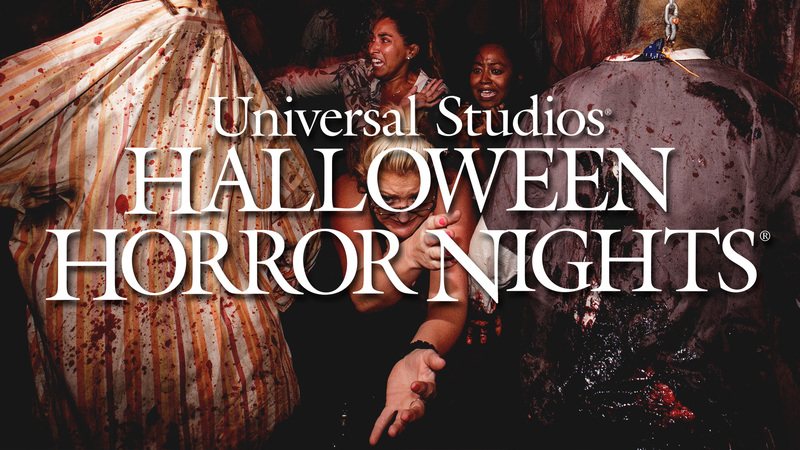 For more information about “Halloween Horror Nights” at Universal Studios Hollywood, visit www.HalloweenHorrorNights.com. Join the “Halloween Horror Nights” conversation using #UniversalHHN on Facebook at Halloween Horror Nights – Hollywood and Instagram; Twitter and Periscope @HorrorNights. Add username HorrorNights on Snapchat for nightly live content, and watch the terror come to life on Halloween Horror Nights YouTube. Universal Studios Hollywood, The Entertainment Capital of L.A.SM, includes a full-day, movie-based theme park and Studio Tour; the CityWalk entertainment, shopping and dining complex, the Universal CityWalk Cinemas and the “5 Towers” state-of-the-art outdoor concert venue. World-class rides and attractions include the renowned, behind-the-scenes Studio Tour featuring the intense “King Kong 360 3-D” attraction and the all-new “Fast & Furious—Supercharged” thrill ride as the Studio Tour’s grand finale. Other popular rides include the 3D-HD adventure, “Despicable Me Minion Mayhem” and immersive “Super Silly Fun Land,” the critically-acclaimed mega-attraction, “Transformers™: The Ride-3D,” “Revenge of the MummySM—The Ride,” “Jurassic Park® —The Ride” and “Springfield,” hometown of America’s favorite TV family, adjacent to the award-winning “The Simpsons RideTM” and the “Nighttime Studio Tour” which runs on select evenings. Yesterday we visited Universal Studios to once again visit Halloween Horror Nights. This year boasting 6 mazes, 4 scare zones and a Jabbawockeez show, it was bound to be a great night ahead. The crowds for the evening were absolutely massive with the inevitability of them only getting longer as we progress closer to Halloween. Most mazes were between 80-110 minutes most of the evening. If visiting prepare yourself for a lot of hanging out with your friends in line. There was some improvement from last year as far as the heavy amount of walking that took place last year. They had added a tram to the back lot where Alien Vs Predator and Crimson Peak is now located. This helped take the walking out of the event a little bit. There was also no shortage of walking for the Purge Terror Tram either. Bring comfortable shoes, something to stay hydrated, and be prepared to hoof it again this year, but not as much as last year fortunately. This maze was located in the upper lot by Mels Diner. You enter into the Halloween house and then wind your way through the Halloween story. This maze was of course well done as far as sets and costumes go. Michael looked as Michael as ever and also even had some appearances of the ghostly costume Michael wore for part of the film as well. there are some fairly graphic scenes in here and will satisfy those looking to feel they are being hunted by Michael himself. I have never been a fan of the Universal Studios trick where they hit a button, a sound effect and strobe light goes off, followed by the talent jumping out at you. This maze had a lot of those but to my surprise had some legitimate scares with out the gimmick. There is also a semi finale with a maze room full of Michaels which is surely going to fool most of the maze visitors. Overall I give this maze a Solid 9 out of 10. This maze was inspired by the the film, This Is the End, a Horror Comedy film. Now when this was announced everyone’s initila reaction what “how in the world is this going to work”? I stayed optimistic to see a maze that was thinking out of the box. When I arrived to the maze I was greated by a Michael Cera skewered to a street light and asking “Who took my F&*#$@ cell phone man”. They had played real audio tracks from the movie. Once I saw this I got pretty excited and knew that this was going to be fantastic. What I forgetting is this maze is going to be in 3D. This is where I think it went wrong for them. The maze looked like pretty much every single 3D clown maze we have seen before, and was lightly themed to This is the End. I was delighted to see that in deed do a great scene with the posession of Jonah Hill. Sad to see there was not a Backstreet Boys finale though. I was told by the Creative Director, John Murdy, that this was due to Copyright Restrictions. I will not give away anymore spoilers but this maze to myself was a bit of a disaster. I see what they were trying to do and it would of worked MUCH better without the 3d gimmick and all the florescent paint. I am sad to report I give this maze a 6 out of 10. I was not impressed with last years The Walking Dead maze at all so I did not have much faith in this years. It seems as though they have once again learned from their past mistakes and brought them back into this maze. I believe they said this is their largest and most monster filled maze. There were zombies in every corner waiting to pounce. there was a mix of Push button scares and real life jump scares. I was really impressed with this years. The zombies looked like zombies as they always do, but there were some really well put together scenes that were impressive. Particularly a woman that appeared to be a pile of goo, cadavers hanging on hooks, feeding frenzies, and creepy. Of all the mazes this was my favorite maze. This is the highlight of the mazes this year and I urge you to brave this new maze. You will not be disappointed.I give this maze a Celebratory 10 out of 10. This maze was inspired by the new movie from Guillermo Del Toro. This movie has not yet been released. This was great because the only thing we have seen of this movie has just been movie trailers. Its pretty much the freshest, non familiar IP that the park had this year. This maze was a haunting, creepy, Gothic maze filled with creepy characters I would only assume to be from the first film. There were bloody covered women in dresses, a spooky/creepy lady that was murdered in a bath tub that will give you the eebie jeebies. I don’t want to give away to much about this maze but it is a great addition to this years event and is a well themed maze. I give this maze a Creepy 8 out of 10. This year Universal had 4 themed Scare Zones. The best zone of them all is again Dark Christmas , followed up by the Purge Scare Zone. The other Zones this year were Corpz and Exterminatorz. The problem I have always had with Universal Scare zones is they just are way to small. They call them Zones when infact they just be called “Scare Spots”. They are really short and do not really spread over a far distance with the exception of The Purge. The Purge you must walk through to get to the lower mazes. This was the longest of the mazes and the best Scare Zone of the 4 that they had this year. Dark Christmas is a twisted evil Christmas Scare Zone, the Exterminatorz Scare Zone is like bugs gone bad. Humanoid bugs roaming the area by the front of the park with flame throwers over head as you enter the park. Corpz looked as though it is a themed military area with dead mutant soldiers running around. The Jabbawockeez have joined Halloween Horror Nights this year. The excitement of having the dance group at the park was definitely heard through out the park. The show was a fun show that was a Dream Sequence of one of the dancers who goes on a journey through some random and odd adventures who inevitably returns back to where he started from. The dancing was great, entertaining and worth the wait, I just think that it does not fit a Halloween themed event at all. Fun show but its a bit out of its element at this event. 8 out of 10. Out side of all of the main attractions one big complaint I have about this event is there just is a lot of walking in the park. Nothing going on. No monsters, No themeing. Just dubstep and heavy metal playing. I am a fan of this music so its not the music that is the problem. It is the lack of Halloween going on. Lots and lots of walking around in empty unthemed areas of the park. Over all I Give this event a 7.5 out of 10 this year. I do enjoy this event and I think it is a must due to anyone who is a fan of Halloween Events, I just feel this year was not their year.